Thank you for taking the time to explore what A Place of Grace has to offer! 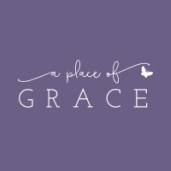 My name is Julie Gvillo, and I am Founder and Creative Executive Director of A Place of Grace. A Place of Grace is exactly what its name implies ... holy ground for meeting God face to face. ​With thirteen years of pastoral and Christian Education experience in a ministry setting, my passion for spiritual formation has only grown and expanded. I have been fortunate to share this passion with colleagues in the Association of Presbyterian Church Educators at the Orlando Annual Event (2013), the San Jose Annual Event (2014), and the Regional OASIS Event in Kansas City (2014). I am a certified Reiki Master Practitioner and Teacher (2009) and a Certified Zentangle® Teacher (2016). Click here for my full resume. On May 2, 2016, A Place of Grace became a reality after years of dreaming and prayer. Four months later, I left my position in the church when the church I served merged with another church, and A Place of Grace became my primary ministry. A Place of Grace offers retreats ... not classes or crops or sessions, but retreats. Retreats are a place of privacy or safety, a period of (individual or) group withdrawal for prayer, meditation, study or instruction under a director. (Merriam Webster) Most of my retreats are structured around a worshipful work format, so that Christian worship unfolds through the course of the retreat from a reformed theology perspective. However, because of the settings in which I work and the desire to be inclusive of all people, some of my retreats are more spiritual and less particularly religious in nature. Regardless, when one plans to attend a retreat designed and implemented by A Place of Grace, one should expect to fully retreat from the world for a time and be restored. In that space, we have all the time we need. Originally, my intention was for A Place of Grace to meet people where they are -- physically as well as spiritually, for contracted retreats (by host invitation). Think Tupperware(R) parties, but instead of inviting friends and family members to buy products in your home, you are inviting them to spend time with God in community. In an effort to reach people, I started holding non-contracted retreats (open to the public) in public settings. Working with Bunker Hill Public Library, St. John United Church of Christ (Wood River), and Von Dell Gallery & Studios (Wood River) has been a tremendous blessing! I am excited to offer both, and l look forward to seeing how God uses A Place of Grace to fulfill its mission in the world.